Hawthorne Hills, Hawthorne II and Hawthorne Acres subdivisions are located immediately north of GE Road and span between Airport and Towanda Barnes Roads in Bloomington. If you’re looking for high-end homes, these subdivisions will not disappoint! The homes and the lots they sit on tend to be on the larger side, with most of them having three or more bedrooms. The median home listing price falls in the mid $400,000’s and a quick drive through the area will be all you need to understand why. The homes are very well kept and most are professionally landscaped, showing just how much pride there is in home ownership for the residents here. In fact, on the front page of the Hawthorne Hills Homeowners Association, they mention 5 ways that neighbors are urged to show their “Hawthorne Pride” by boosting the curb appeal in the subdivision. The combination of well-maintained homes, tennis courts, and lakes make the entire area enticing to buyers. These subdivisions feed into the unit 5 schools of Northpoint or Benjamin Elementary; Kingsley, Evans or Chiddix Jr High Schools; and Normal Community High School. Check out Unit 5 school boundaries for exact boundaries. The homes in the Hawthorne subdivisions are some of Bloomington’s most luxurious. 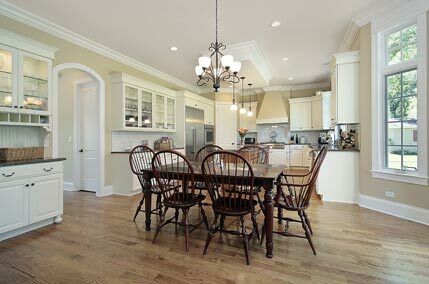 Many of them have custom features that are desirable to buyers with both traditional and modern styles. Spacious master suites with spa inspired bathrooms, cathedral ceilings, chefs’ kitchens, home theaters and stunning outdoor entertainment areas are just some of the features in the homes here. On any given day you can drive through the neighborhood to see families outside and children playing with their friends. Traffic calming speed bumps help to ensure the well-being of children during outdoor activities. You can be confident that safety is a priority and that your neighbors will feel the same way; as Hawthorne is home to many doctors, lawyers, business professionals and executives in the area. The next time you’re searching for your next home, make it a point to take a stroll down the Constitution Trail bike and walking trail and appreciate the beauty of the homes in the Hawthorne subdivisions. We do want to give you fair warning; however, as you can certainly spend a full day getting lost in the charm and elegance that these subdivisions have to offer. You will absolutely leave wanting to see more! Let one of the realtors at BN Realty be your personal guide to all that is offered in Hawthorne Hills, Hawthorn II and Hawthorne Acres. Call us right away to schedule an appointment!